I first became interested in Marlon Brando after seeing him in A Streetcar Named Desire. I was immediately blown away by his ravishing good looks and his out of this world performance as Stanley Kowalsky. He just oozed charisma and confidence. Brando studied the Stanislavski System with Stella Adler and despite his young age (he was only 27 in the course of shooting A Streetcar Named Desire) he proved to be an outstanding method actor. Although Brando didn’t get his Best Actor Oscar for this 1951 movie directed by Elia Kazan, he did get one for playing Terry Malloy in On the Waterfront (also directed by Elia Kazan), and yet another one for playing Vito Corleone in The Godfather. In the 1954 Academy Award winning drama On the Waterfront, Brando gives a masterful performance as a former prize fighter Terry Malloy. Terry unwittingly witnesses a murder of a colleague dockworker who had planned to expose illegal activities of a corrupt Union-boss. Terry then struggles to expose the crimes. In 1961 Brando stars in One-Eyed Jacks. This western is an adaptation of the 1957 novel The Authentic Death of Hendry Jones by Charles Neider. This was the only movie directed by Marlon Brando. Mutiny on the Bounty, which came a year later, in 1962, is an adaptation of the novel by Charles Nordhoff and tells the true story of the mutiny. The first signs of decline of Brando's stunning career became visible in the sixties, following these movies. The remarkable actor’s image was suddenly overshadowed by rumors marking him as a person who is very hard to work with. And so The Godfather (1971) directed by Francis Ford Coppola couldn’t have come in a better time for Brando. Based upon Mario Puzo's crime novel of the same name, the movie is universally considered to be among the greatest films of all time. Brando’s spectacular performance as Don Vito Corleone earned him his second Best Actor Oscar and brought his career to life. However, Brando announced that he would boycott the 45th Academy Awards ceremony and sent his colleague Sacheen Littlefeather in his place. The actress explained that Marlon couldn’t accept the award. The reasons were the treatment of American Indians by the film industry. Brando subsequently gave another exceptional performance in the 1972 movie Last Tango in Paris directed by Bernardo Bertolucci. The movie featuring a young Parisian woman played by Maria Schneider and a middle-aged American businessman played by Marlon Brando has caused considerable controversy for many years. The film was praised by the critics and earned him his seventh Best Actor nomination. The success with this film was followed by highly paid roles in Superman (1978) and Apocalypse Now (1979). These were succeeded by A Dry White Season (1989) for which he was once again nominated for Best Supporting Actor Oscar. If you want to see Brando from the other, more personal perspective, you should watch a documentary Listen to Me Marlon (2015) comprised of Marlon Brando’s audio from personal archive. This is a great opportunity to get a sneak peek into Brando’s world. I was surprised to see how honest and open he was talking about his life, his family and his career. This film tells the whole story starting from the early beginnings of the actor’s life. 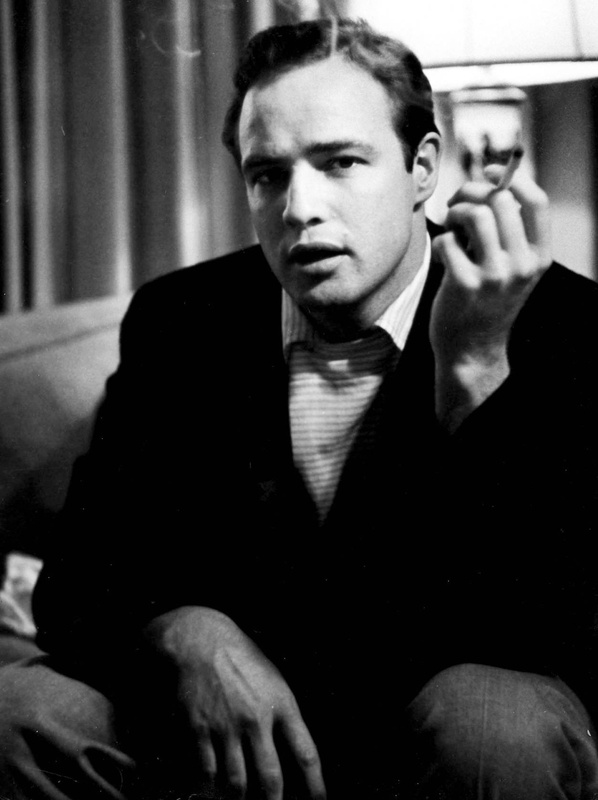 Born on April 3, 1924, in Omaha, Nebraska, Brando grew up in Illinois. His childhood was marked by his troubled relationship with his alcoholic father. Young Brando entered a military academy when he was seventeen years old. He had problems with respecting the authority and was expelled in his senior year. Instead of getting a diploma Brando got a job digging ditches. Eventually, his father offered to finance his education. So, Brando moved to New York to study with acting coach Stella Adler at Lee Strasberg's Actors' Studio. That is where he learned the "method approach". He started working on Broadway and was voted Broadway's Most Promising Actor by the critics. Brando's breathtaking performance in the 1947 production of Tennessee Williams' A Streetcar Named Desire made him the rage of Broadway overnight. Hollywood, too became interested in the young actor and so in 1950 Brando starred as a paraplegic war victim in the independent Stanley Kramer production The Men. The talented actor decided to spend a month in an actual veteran's hospital in preparation for the role. The film was a hit and it was the beginning of Brando’s record-setting acting career. As for his personal life, it was a true emotional roller coaster. 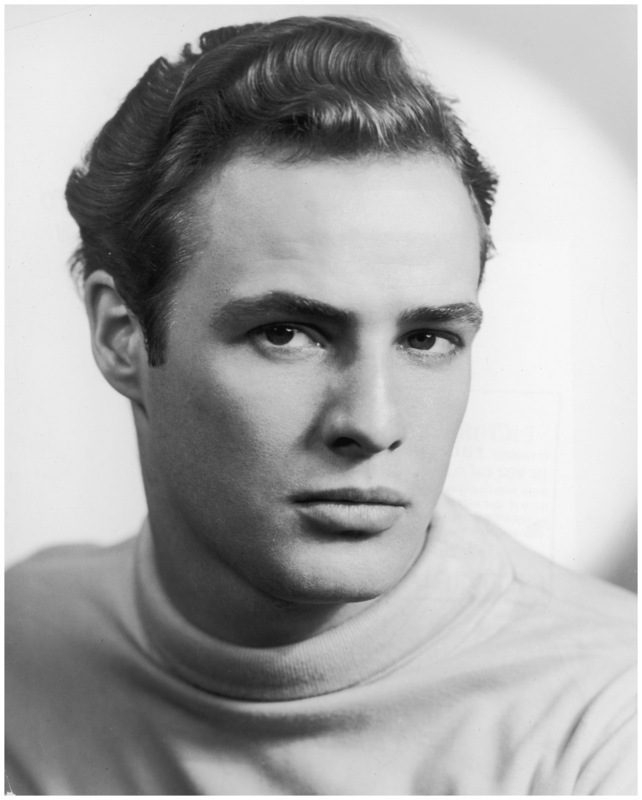 Young Brando was an exceptionally attractive man who had numerous relationships with women. He has had three failed marriages and at least 11 children. His last years were troubled and afflicted by a series of family misfortunes. 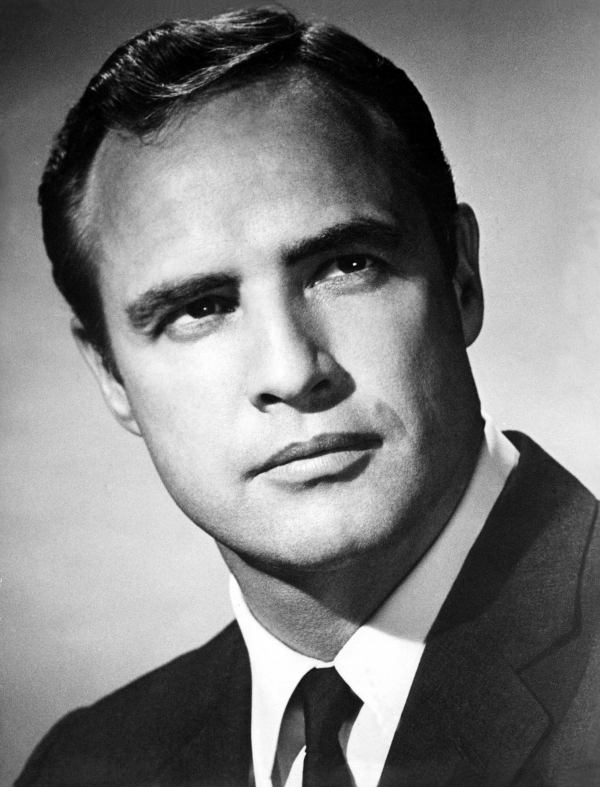 Marlon Brando was 80 years old when he suddenly died in Los Angeles on July 1 2004. That was the day when we lost an outstanding artist whose shoes will be impossible to fill. He possessed such a unique personality with an aura of respectability and was definitely one of the most talented actors to ever have walked the Earth. There are a lot of things we can learn from this iconic actor. He was an important influence on many famous actors, including Paul Newman and Robert De Niro. He will be also remembered as a style icon whose bad-boy look as a rebellious bike gang leader in The Wild One has been recycled so many times. Even Stanley Kowalski’s basic white T-shirt looked unbelievably cool when worn by 27 years old Brando. This is my tribute to the greatest film actor of all-time.